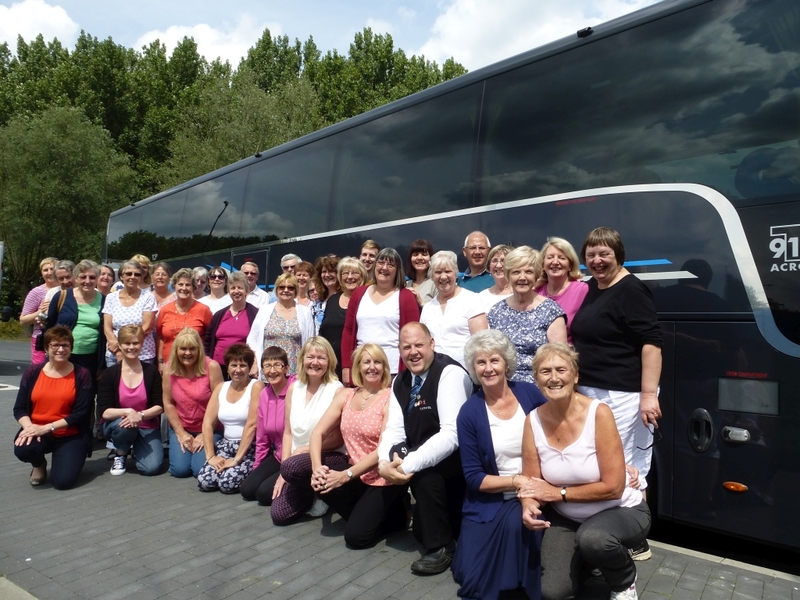 For some time the choir have considered touring, and this year it came to fruition. It was a wonderful experience and one that we hope to repeat. After some tentative enquires with the Kettering/Lahnstein Twinning Committee, and a local travel company, it was decided that Lahnstein would be the ideal place to tour, especially as it was the 60th anniversary of the towns twinning. 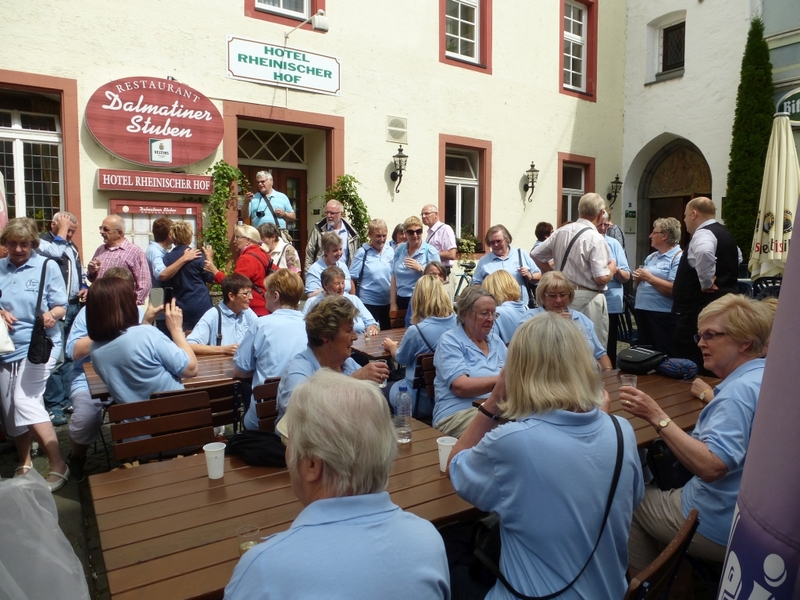 And so, with much planning and organising, the choir departed from Kettering at 04.15hrs on 27th July 2015 and made the journey to Lahnstein. On arrival we were warmly welcomed by the Hotel Weiland staff and the Lahnstein Twinning Committee. 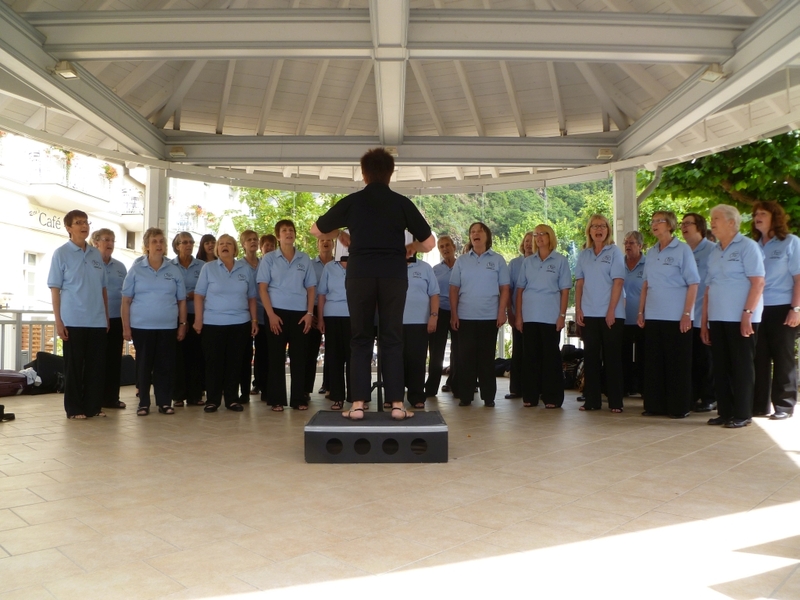 The committee had organised several different venues for us to sing in, and had promoted each concert well. In all we sang on four separate occasions, and each concert was well attended. 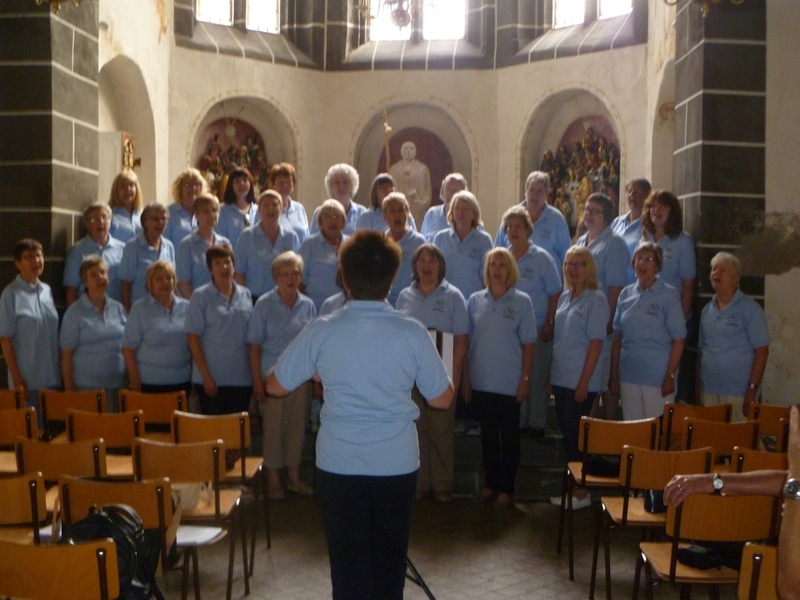 Our first concert was a lunchtime recital in the Hospital Chapel in Lahnstein, following a morning tour of the town. The little chapel had wonderful acoustics and our voices rang out as we sang a sacred programme. The Virgins Slumber Song, which we sang in German, was particularly well received. 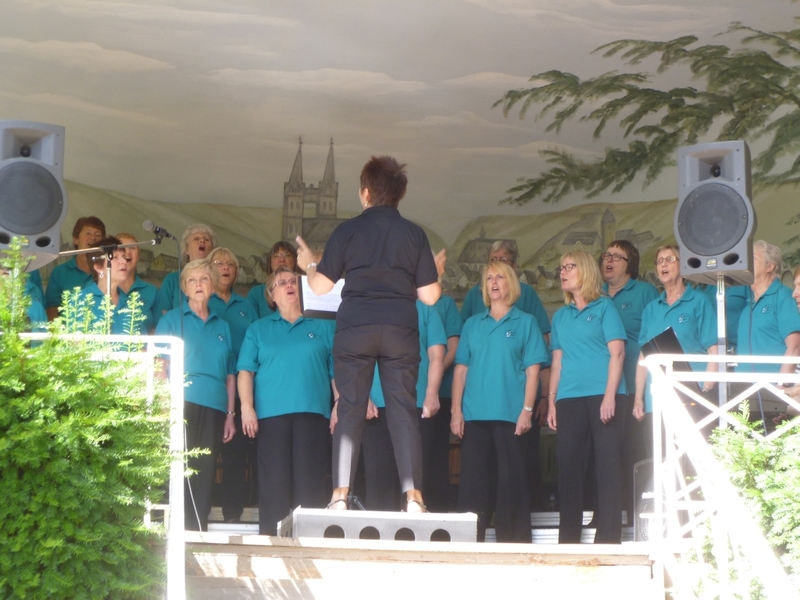 In the afternoon we travelled to the spa town of Bad Ems, where we sang in a bandstand. This was a relatively light-hearted repertoire and the large audience sat and enjoyed teas and coffees on a warm, but blustery afternoon. The following morning we departed for free time in Koblenz, before singing at yet another bandstand, in the afternoon, this time in Boppard. Once again choir members found it rewarding to find so many people attending, some coming especially to hear us, others just happening upon the performance as they walked through the park. There was a more formal concert, early evening, in the Florins Church, Koblenz. It was a magical experience, and all choir members felt that singing there was something extra special. The audience were particularly appreciative and gave us a standing ovation. One member of the audience commented that we were "inspirational". It was a wonderful end for our official singing engagements. The next day choir members were taken to the pretty town of Cochem where there was time for a spot of cultural and retail therapy. Everyone had a wonderful time. Some took the opportunity to have a cruise on the Moselle, others took the chair-lift up to the lookout point at Pinnerkreuz, and some took the road train through the town for an overall orientation of the town, the river Moselle, and the imperial castle which dominates the town. 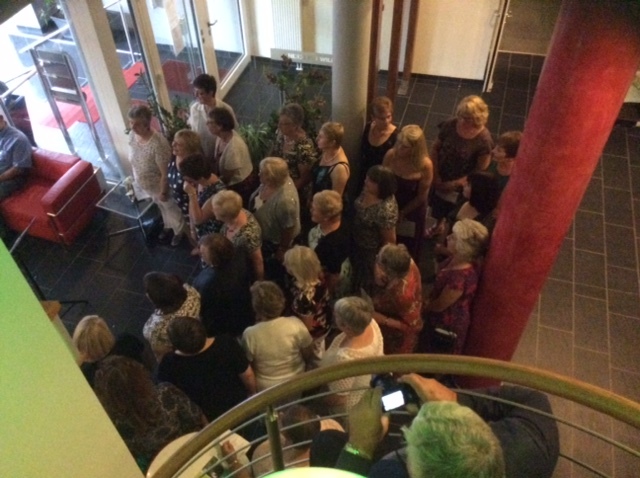 In the evening we had a farewell meal in the hotel followed by an impromptu concert attended by all involved with the tour. Gifts were presented in appreciation for all the hard work done in making our time in Lahnstein such a successful venture. Once again the choir sang in German, this time “Lahnstein Am Rhien”, to which everyone joined in. It was a fitting finale to our fabulous tour. The trip was a huge success…we just wonder how we will top it!!! The venue for this concert was The Cornmarket Hall, in Kettering. 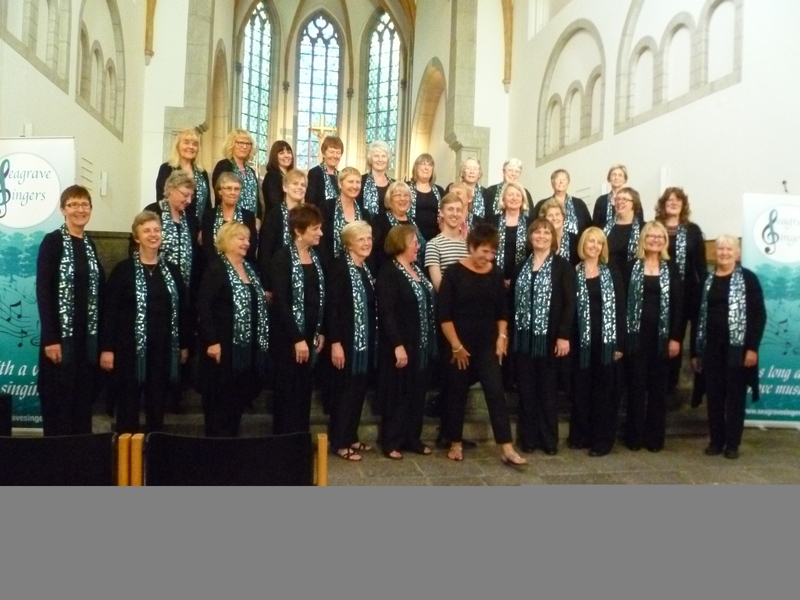 It was with some excitment that the choir performed here prior to their forthcoming German tour to Lahnstein. Lahnstein has been twinned with Kettering for 60 years. The Kettering Twinning Committee were present to hear some of the repertoire that the choir would be singing whilst on tour. This included "The Virgin's Slumber Song", sung in German. Jay Brown accompanied the choir, although sadly he is unable to tour with the choir. Two young singers, Casey Wade and Nathan Kinchin, both performed solo pieces and these were very popular with the audience.